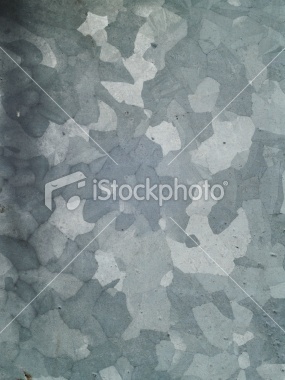 A galvanized steel sheet is a sheet of steel that has been galvanized in order to help prevent corrosion. 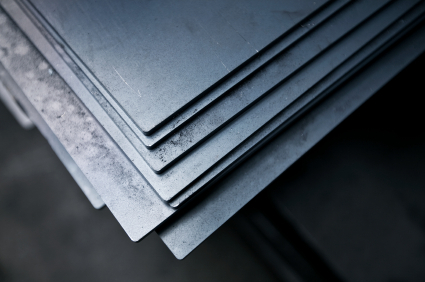 Galvanized steel sheets can be used in a variety of applications including in furniture, cars, or in making tool boxes. The process is done in order to help steel stave off corrosion caused by exposure to other metals in the presence of an electrolyte or to oxygen and water. By putting on a barrier to coat the steel, a galvanized steel sheet is able to better resist the destructive forces acting against it. It must be noted, however, that this coating can deteriorate over time. The effects of corrosion can be seen in many circumstances. For instance, a metal bucket can start to rust and deteriorate. Rust is a form of corrosion that occurs when certain metals are oxidized. If this reaction is allowed to continue, it can deteriorate a metal structure. Iron, one of the main components of steel, is prone to corrosion, and thus steel generally needs to be coated with a substance to prevent that phenomenon. 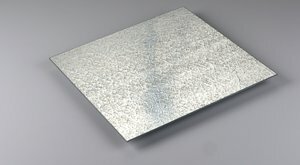 The process of producing a galvanized steel sheet usually involves nothing more than dipping that sheet into very hot zinc. After the steel is galvanized, the zinc coating will react with oxygen in order to create zinc oxide, which further reacts with water, producing zinc hydroxide. In time, zinc hydroxide will react with carbon dioxide and form zinc carbonate, a gray layer that helps slow the reaction rate of the zinc and helps to protect the steel. 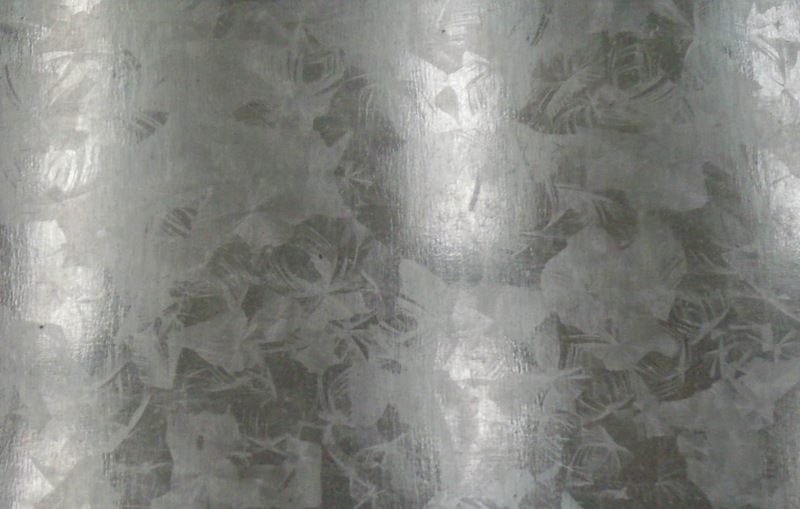 The galvanizing process can also cause spangle on the surface of the steel. Spangle is the term used to describe the pattern that zinc grains can form on the surface of a galvanized steel sheet. 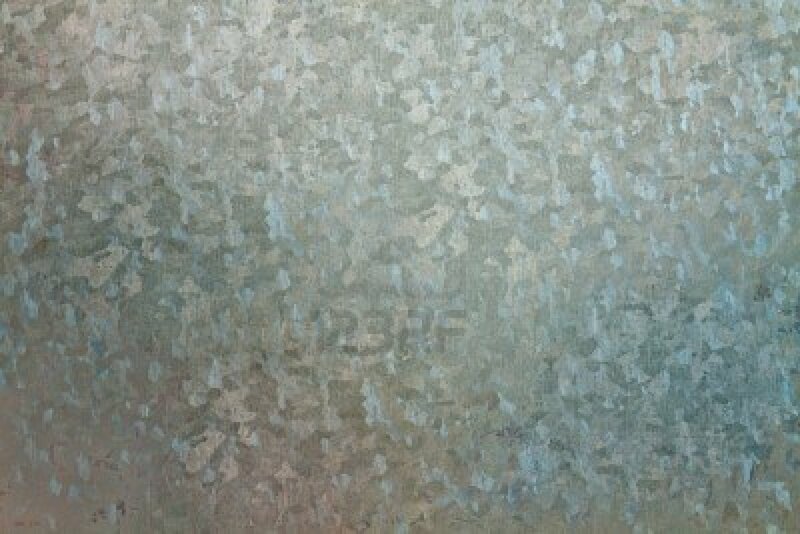 A galvanized coating is not a permanent solution. The protective layer of a galvanized steel sheet will corrode eventually, leaving the steel unprotected and prone to oxidization. In these cases, there is a simple solution in helping to keep the steel sheets protected: paint. Paint can provide the protection that the galvanized coating used to provide for the metal sheet. It should be noted that paint may not provide as good a protective barrier as a galvanized coating, but does provide a barrier between the steel and the elements to help stop the steel from corroding. Hot-dip galvanizing is the process of coating iron or steel with a thin zinc layer, by passing the steel through a molten bath of zinc at a temperature of around 860 °F (460 °C). 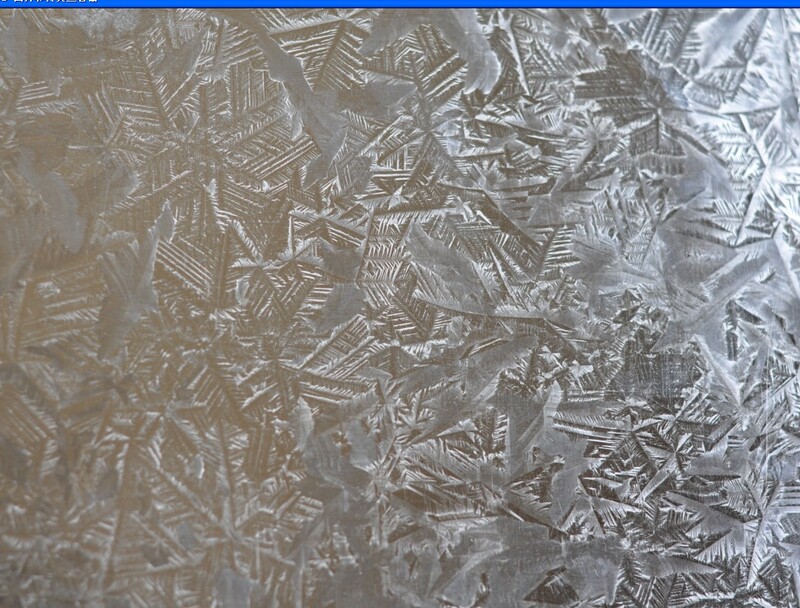 When exposed to the atmosphere, pure zinc reacts with oxygen to form zinc oxide, which further reacts with carbon dioxide to form zinc carbonate, a dull grey, fairly strong material that stops further corrosion in many circumstances, protecting the steel below from the elements. Galvanized steel is widely used in applications where rust resistance is needed, and can be identified by the crystallization patterning on the surface (often called a "spangle").